New Delhi: YRF’s extravagant fantasy action adventure ‘Thugs of Hindostan’ holds the promise of delivering a never-seen-before cinematic experience this Diwali. Having cast two icons of Hindi cinema Amitabh Bachchan and Aamir Khan together for the first time ever, along with Katrina Kaif and Fatima Sana Shaikh this visual entertainer is one of the most anticipated movies of all time. Given its genre, the makers wanted to create unique and extraordinary visual spectacle that is set as an adventure on the high seas. To deliver the biggest larger-than-life experience on theatres, the makers travelled far and wide to scout for locations that heighten the story-telling. Thugs has been filmed in some of the most jaw-dropping locations of the world, one of them being the exact location where the global cult TV series ‘Game of Thrones’ has been filmed. It is also the first Bollywood film on seafaring adventures that has been shot outdoors extensively which will add to the grandness of scale when audiences watch it on big screen. “Thugs team shot extensively in Malta - the location where the ‘Game of Thrones’ was also shot. So, in terms of scale, ‘Thugs’ will live up to all the hype that the film has. Malta has some very uncommon, incredible spots that look outstanding. It is also a place that not many people have been or seen so there will be incredible novelty for everyone to see the breath-taking visuals on offer in Thugs. Having created the massive ships and shot in these extravagant locations, Thugs will be a treat for audiences when they see it on the big screen,” says a source. 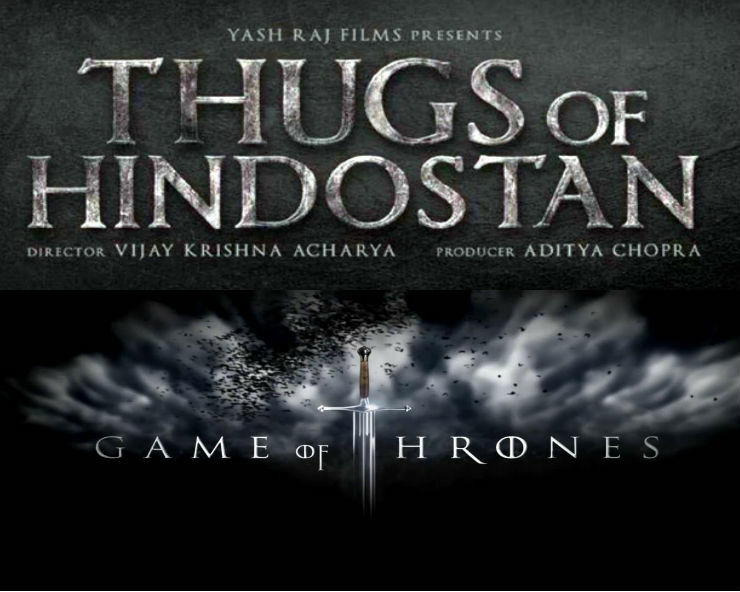 “Vijay Krishna Acharya has researched and dedicated lots of time to set the film which is a fantasy adventure in a period that no one has seen or has a point of reference. This makes the film look unique and fresh and massive in scale. Malta is an untapped territory by film-makers and Thugs will show a world that is new to people which will add to Thugs’ incredible visual appeal. Thugs also releases in IMAX across the world so the experience of watching this scale on big screen will be a talking point,’’ the source adds. ‘Thugs of Hindostan’ has been shot in some of the most extravagant locations of the world.